AASTHA FOUNDATION is located in Patna Bihar . AASTHA FOUNDATION is registered as a Trust at sasaram of state Bihar with Ngo unique registration ID 'BR/2011/0043025' . 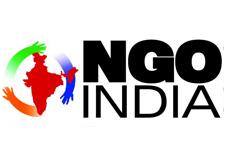 The NGO registration is done by Registrar of Societies with registration number 16/4/26-2009 on the date of 14-03-2009, Its parent ORganaisation is PaulFoundation. The Chairman of AASTHA FOUNDATION is sangita kumari and Chief functionary officer is sangita kumari. The trust is working in the field of health, education, rural development, women empowerment, etc. since its inception.